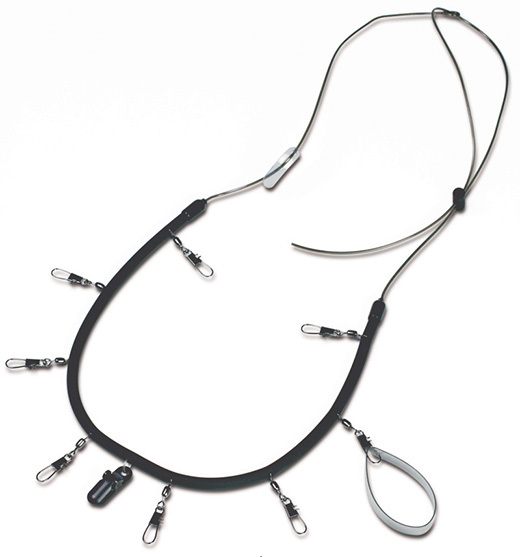 The C&F Design Lanyard is a functional and comfortable neck lanyard with 8 snaps from which to hang tools. Comes with forceps holder and tippet holder. Ideally suited to mounting C&F Fly Patch or Chest Patches (available separately). A precision tool that is indispensable to any fly fishers. With its patented “push button” locking pin-mount mechanism, this retractor swivels 360-degrees. Mitten Clamps are the perfect scissor/clamps for using in cold weather.